Your privacy is important to us and so is being clear and open about how we collect, use, and share information about you. This policy also explains your choices about how we use information about you. Your choices include how you can object to certain uses of information about you and how you can access and update certain information about you. If you do not agree with this policy, we politely suggest that you do not access or use our Services or interact with any other aspect of our business. We collect information about you when you interact with our websites, our booking process and when you input your details and information as part of using the Services we provide. We collect information about you when you register for an account, create or modify your profile, set preferences, sign-up for email newsletters or make an enquiry or booking through the Services. For example, you provide your contact information and, in some cases, payment information when you make a booking. You also have the option of adding a display name, profile photo, and other details to your profile information to be displayed in our Services. We keep track of your preferences when you select settings within the Services. The Services also include the websites owned or operated by us. We collect other content that you submit to these websites, which include any channels operated by us on social media or social networking websites. For example, you provide content to us when you provide feedback or when you participate in any interactive features, surveys, contests, promotions, sweepstakes, activities or events. The Services also include our customer support, where you may choose to submit information regarding a problem that you may be experiencing with a Service. Whether you speak to one of our representatives directly or otherwise engage with our support team, you will be asked to provide contact information, a summary of the problem you have and any other related information that would be helpful in resolving the issue. We collect certain payment and billing information when you make a booking or enquiry, to enable us to charge you once the booking is confirmed by the supplier. You might also provide payment information, such as payment card details, which we collect via secure payment processing services. We collect information about you when you use our Services, including browsing our websites, reading marketing emails, and taking certain actions within the Services. We collect and keep track of certain information about you when you visit and interact with any of our Services. This information includes the features you use, the links you click on and frequently used search terms. The information we collect about your use of the Services is limited to just the data we can see concerning how you interact with and use features in the Services, in addition to content-related information described in “Content you provide through our products,” above. We collect information about the computer, phone, tablet, or other devices you use to access the Services. This device information includes your connection type and settings when you access our Services. We also collect information through your device about your operating system, browser type, IP address, URLs of referring/exit pages, device identifiers. We collect and use your IP address and/or country preference in order to approximate your location so that we can provide you with a better Service experience. How much of this information we collect depends on the type and settings of the device you use to access the Services. Other users of our Services may provide information about you when they submit content through the Services. For example, we may receive your email address from other people who use the Services, when they fill in details on a form in order to add you to a booking, or invite you to the Services. We work with a global network of partners and companies who help us market and promote our products, generate leads for us, and resell our Services. We may receive information from these partners, such as billing information, contact information, and what country you are in. We may receive information about you and your activities on and off the Services from third-party partners, such as advertising and market research partners, who may provide us with information about your likes, dislikes, interests, your engagement with our Services and your engagement with online advertisements. We collect this information so that we can provide you with a better Service experience, such as being able to offer you the most relevant products or deals. We use information about you to provide the Services to you, including to process transactions with you, authenticate you when you log in and provide customer support. We combine information about you and your activities to provide a seamless experience, such as to allow you to find information from one Service while searching from another, or to present relevant product information as you browse across our websites. We are always looking for ways to make our Services smarter, faster, secure, integrated, and useful to you. We use collective learnings about how people use our Services, as well as feedback provided directly to us, in order to troubleshoot and to identify trends, usage, activity patterns and areas for integration and improvement of the Services. For example, to improve a certain feature, we analyze recent interactions of a number of people and how often they use the feature, to gather the most relevant information. We automatically analyze and aggregate frequently used searches to improve the accuracy and relevance of suggested products. In some cases, we apply these learnings across our Services to improve and develop similar features or to better integrate the services you use. We also sometimes test and analyze certain new features with a small group of users, before rolling the feature out to all users. We use your contact information to send transactional communications via email and within the Services, including confirming your booking, reminding you for payments, responding to your comments, questions and requests, providing customer support, and sending you notices. We may also send you communications as you onboard to a particular Service to help you become more proficient in using that Service. These communications are part of the Services and in most cases you cannot opt out of them. If an opt out is available, you will find that option within the communication itself or in your account settings. We may use your information to resolve any issues you may encounter, to respond to your requests for assistance and to improve the Services. – We need it to provide you the Services, including to operate the Services, provide customer support and personalized features and to protect the safety and security of the Services. – It satisfies a legitimate interest (which is not overridden by your data protection interests), such as for research and development, to market and promote the Services and to protect our legal rights and interests. – You give us consent to do so for a specific purpose. – We need to process your data to comply with a legal obligation. If you have agreed to our use of information about you for a specific purpose, you have the right to change your mind at any time, but this will not affect any processing that has already taken place. Where we are using your information because we or a third party have a legitimate interest to do so, you have the right to object to that use, but in some cases this may mean that you are no long able to use the Services. We share information we collect about you in the ways discussed below. To complete your booking we need your personal details including your name, address, email address, phone number and credit card number. In order to process the booking, we may in some instances pass all or some of this information on to our suppliers. This is done on your behalf through a password protected and encrypted secure site within a login environment. We will not sell or rent any personally identifiable information about you to any third party. We work with third-party service providers to provide website and application development, hosting, maintenance, backup, storage, virtual infrastructure, payment processing, analysis and other services for us, which may require them to access or use information about you. If a service provider needs to access information about you to perform services on our behalf, they do so under close instruction from us, including policies and procedures designed to protect your information. We work with third parties who help us improve the Services we provide to you. This help could be consulting, sales and / or technical assistance, to deliver improvements for you. We may share your information with these third parties in connection with the help they are giving to us, such as to assist with marketing and promotions. We may also share information with these third parties where you have agreed to that sharing. The Services may include links that direct you to other websites or services whose privacy practices may differ from ours. Your use of and any information you submit to any of those third-party sites is governed by their privacy policies, not this one. In exceptional circumstances, we may share information about you with a third party if we believe that sharing is reasonably necessary to (a) comply with any applicable law, regulation, legal process or governmental request, including to meet national security requirements, (b) enforce our agreements, policies and terms of service, (c) protect the security or integrity of our products and services, (d) protect Compare Campervan Hire Pty Ltd, our customers or the public from harm or illegal activities, or (e) respond to an emergency which we believe in good faith requires us to disclose information to assist in preventing the death or serious bodily injury of any person. For more information on how we respond to government requests, see our Guidelines for Law Enforcement and our Transparency Report. Information storage and security: We use data hosting service providers in the United States, Australia, New Zealand and Ireland to host the information we collect, and we use technical measures to secure your data. We retain your account information for as long as your account is active and a reasonable period thereafter in case you decide to re-activate the Services. We also retain some of your information as necessary to comply with our legal obligations, to resolve disputes, to enforce our agreements, to support business operations, and to continue to develop and improve our Services. Where we retain information for Service improvement and development, we take steps to eliminate information that directly identifies you, and we only use the information to uncover collective insights about the use of our Services, not to specifically analyze personal characteristics about you. If you have elected to receive marketing emails from us, we retain information about your marketing preferences for a reasonable period of time from the date you last expressed interest in our Services, such as when you last opened an email from us or ceased using your account. We retain information derived from cookies and other tracking technologies for a reasonable period of time from the date such information was created. You have the right to request a copy of your information, to object to our use of your information (including for marketing purposes), to request the deletion or restriction of your information, or to request your information in a structured, electronic format. As below, we describe the tools and processes for making these requests. You can exercise some of the choices by logging into the Services and using settings available within the Services or your account. For all other requests, or if your require assistance, you may contact us via the details provided in the Contact Us section below. For example, if fulfilling your request would reveal information about another person, or if you ask to delete information which we are permitted by law or have compelling legitimate interests to keep. If you have unresolved concerns, you may have the right to complain to a data protection authority in the country where you live, where you work or where you feel your rights were infringed. Our Services give you the ability to access and update certain information about you from within the Service. For example, you can access your profile information from your account. You can update your profile information within your profile settings and modify content that contains information about you using the options associated with that content. If you no longer wish to use our Services, you may be able to deactivate your Services account by changing your account settings. Otherwise, to request assistance, please contact us via the details provided in the Contact Us section below. Please be aware that deactivating your account does not delete your information. Your information may remain visible to other Service users based on your past participation within the Services. For more information on how to delete your information, see below. In some cases, you may ask us to stop accessing, storing, using and otherwise processing your information where you believe we don’t have the appropriate rights to do so. For example, if you believe an account was created for you without your permission or you are no longer an active user, you can request that we delete your account as provided in this policy. Where you gave us permission to use your information for a limited purpose, you can contact us to withdraw that consent, but this will not affect any processing that has already taken place at the time. You can also opt-out of any use of your information for marketing purposes by contacting us via the details provided below. When you make such requests, we will resolve it within 30 days of receipt. If there is delay or dispute as to whether we have the right to continue using your information, we will restrict any further use of your information until the request is honored or the dispute is resolved. You may opt out of receiving promotional communications from us by using the unsubscribe link within each email, updating your email preferences within your Service account settings menu, or by contacting us via the details provided below. We will subsequently have your contact information removed from our promotional email list or registration database. When you make such a request, we will resolve it within 24 hours of receipt. Even after you opt out from receiving promotional messages from us, you will continue to receive transactional messages from us regarding our Services. You can opt out of some notification messages in your account settings. Relevant browser-based cookie controls are described in our Cookies and Tracking Notice. Data portability is the ability to obtain some of your information in a format you can move from one service provider to another (for instance, when you transfer your mobile phone number to another carrier). Depending on the context, this applies to some of your information, but not to all of your information. Should you request it, we will provide you with an electronic file of your basic account information and any information that you created within the Services that are under your sole control. International transfers of information we collect: We collect information globally and primarily store that information in the United States, Australia, New Zealand and Ireland. For the purpose of providing the Services to you, we may transfer, process and store your information outside of your country of residence, to wherever we or our third-party service providers operate. Whenever we transfer your information, we take steps to protect it. For the purposes described in this policy, in order to facilitate our global operations, we may transfer information to either Australia, New Zealand, Ireland or the United States and allow access to that information from countries in which we have operations. These countries may not have equivalent privacy and data protection laws to the laws of many of the countries where our customers and users are based. We are committed to protecting and respecting your privacy and not using your personal information for anything you have not agreed to. We take a proactive approach to security and privacy, and work to international standards and protocols. We are not responsible for the privacy or security practices of any other organization, which may be different than this policy. Our secure booking server uses 128 bit encryption which ensures the highest levels of security. This is shown by the padlock in the closed position at the base of your browser screen. Any information, including credit card details, that you enter and submit on that page will be encrypted and securely transmitted. When your transaction is complete, your information is stored in an encrypted state. All information transmitted on the booking page is done using SSL (Secure Sockets Layer). SSL uses a cryptographic system that uses two keys to encrypt data; which are a public key, and a private or secret key known only to the recipient of the message. The Services are not directed to individuals under 16. We do not knowingly collect personal information from children under 16. If we become aware that a child under 16 has provided us with personal information, we will take steps to delete such information. If you become aware that a child has provided us with any personal information, please contact our support services. This website is owned and operated by Compare Campervan Hire Pty Ltd (ACN 626 850 664 / ABN: 796 2685 0664), trading as Compare Campervan Hire, a specialist in worldwide campervan rental distribution. If you have questions or concerns about how your information is handled, please inquire with us. 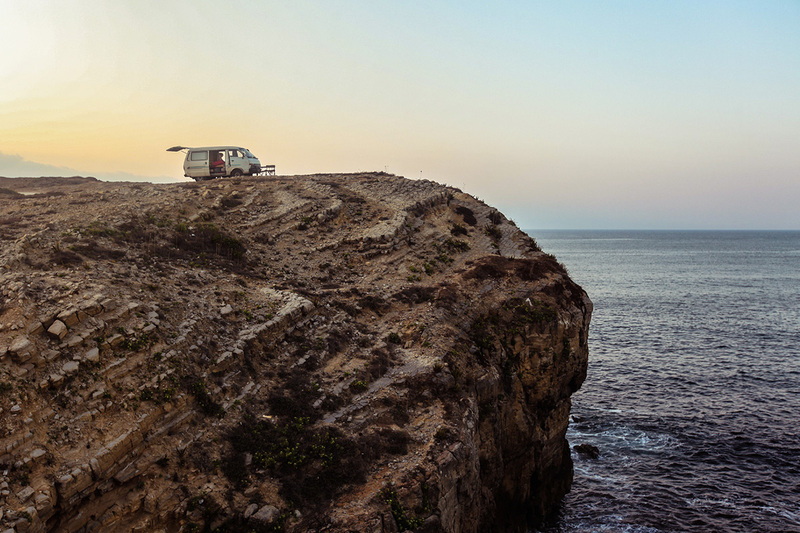 We’ll send you the BEST Price quote on Campervans, Motorhome or 4WD’s within 2 Hours. If you find a better price anywhere else WE WILL BEAT IT! Why Book with Compare Campervan Hire? Here at Compare Campervan Hire our staff have over 15 Years Experience. We pride ourselves on offering the CHEAPEST Campervan Hire in Australia. Choose from 100’s of Campervans and Securely Book Online in minutes! Compare and Hire a Campervan from one of over 200 Rental Locations in Australia!